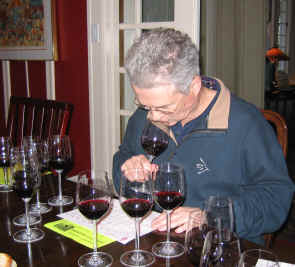 With interest in Malbec wines from Argentina on the rise, we assembled a flight of rather "modestly-priced" wines for the evaluation of the Vino Fino tasters. An article last year in The Wine Spectator had glowing reviews of Malbec wines, but most of the top-rated wines retail for more than $100 per bottle. The Malbec grape today has its home in France's Cahors region where it's long been a main-stay. But Malbec had been fairly prominent as a blending variety in Bordeaux, but it fell out of favor following the major freeze in 1956. 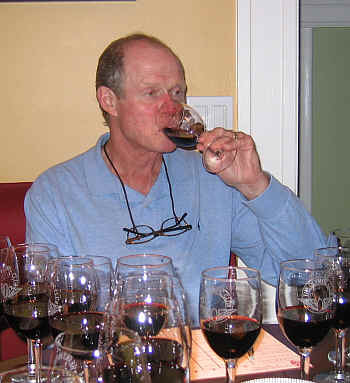 Vintners decided it wasn't worth the trouble, so they by-passed it in favor of Merlot, Cabernet Sauvignon and Cabernet Franc. The grape was first introduced to Argentina in the 1800s and it's thrived there ever since. However, there was a bump in that road not too long ago. In the 1980s the wine industry economy in Argentina was not doing well and much Malbec was actually up-rooted. Improved conditions in the 1990s have seen a resurgence and today there's quite a proliferation of Malbec vineyards and brands producing Malbec wines. We noticed quite a marked improvement in the quality of the wines over the past three or four years and this tasting was quite good. 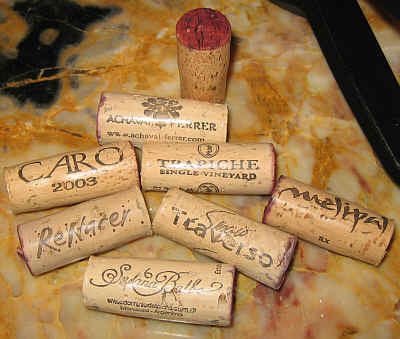 Most Vino Fino tasters were pleasantly surprised by the over all quality of this set of wines. We selected wines "currently available" in the market, rather than stick to one vintage. 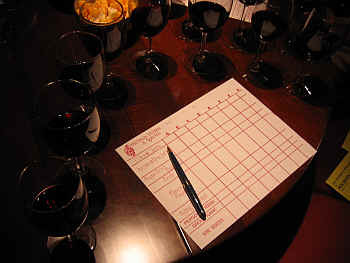 As a result, we tasted wines from 2003, 2004 and 2005. One wine stood out from the pack and three wines were, essentially tied for second place! One wine simply did not compete well with this flight of wines, finishing with 8 out of the 9 last place votes. This winery is highly-regarded for its Malbec wines and one of the leading proponents of this grape. 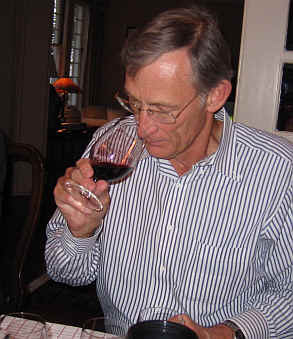 I have tasted their wines a few times over the past 18 months and can't say I share other's enthusiasm for their wines. We included a bottle of Achaval Ferrer's entry level wine in this tasting and it did not fare well. With dark ruby color, this wine showed a distinctively different "high toned" fruity element on the nose. It was more like a 'raw' wine or a wine in progress, but as it sat in the glass I found an appley, odd note in the wine. 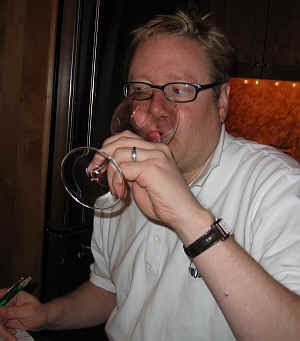 Cassis and a hint of mint were also present, but the wine is light and shallow on the palate. I also detected a green olive note and someone mentioned finding a mushroomy tone. In any case, it was seriously out-classed in this tasting. No stars on my three star scale. Chilean-born winemaker Sergio Traverso has traversed the border and is now making wine in Argentina. 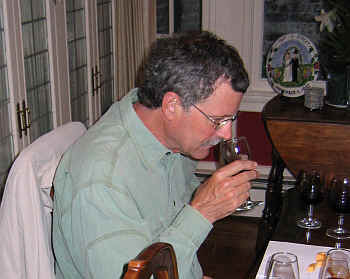 He had come to California years ago and worked at Domaine Chandon and Sterling before finding a home in the Livermore Valley. 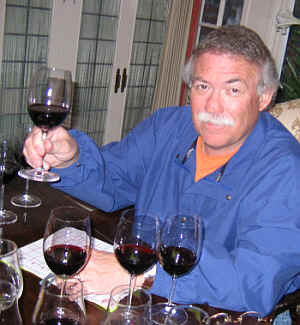 He's associated with the Murrieta's Well winery in Livermore. We included a bottle of his Blend 1314 Malbec in our tasting and this failed to impress. Medium dark ruby in color, there's a woodsy, almost 'burnt' note on the nose. The wine is woodsy and dusty on the nose. Medium-bodied, this shows better on the palate than on the nose. Woodsy notes combine with some dark fruit elements, making for a pleasant, but not profound, wine. Mildly tannic, this is certainly drinkable now. One star. With deep ruby color, the Melipal wine displayed red fruit notes more than dark, black fruit tones. There's a lightly woodsy element here, too. Nice nose. Medium-bodied, this wine shows nice fruit on the palate and perhaps a shade too much tannin. It's not unpleasant, but it's not a profound, "reserve quality" wine, either. One star. With very dark, saturated ruby color, this wine comes from the Bodegas Renacer winery. I found the nose to be quite attractive, displaying lots of dark fruits. Blackberry and plum notes are engaging and oak seems to be nicely in the background, allowing the fruit to take center stage. I liked the texture of the wine on the palate. It's medium-full bodied and and has a bit of an 'edge' that's not solely from tannin. The wine is deep and long on the palate...very fine. One-and-a-half to two stars. Deep ruby in color, this wine has lots of nice, intense dark fruit notes with a hint of cocoa emerging with aeration. It's medium-full to full-bodied on the palate. Nice on the palate, with good, woodsy notes and a bit of structure. One-and-a-half stars. Nice wine. This wine has the least amount of Malbec to it of this flight, relying more heavily on Cabernet Sauvignon. It shows deep ruby color, with nice dark fruit aromas and a hint of mint and mild oak. 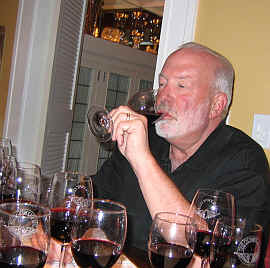 The wine is medium-full on the palate and fairly tannic and intended more for cellaring than short-term drinking. It's probably got sufficient fruit to warrant cellaring it for another 5-10 years. Good wine. One+ stars now, probably more down the road when the tannins resolve themselves. Lots of intensity to the color of this deep, ruby, fully saturated red wine. The aromas are equally deep and 'dark', having blackberries, black cherries and a woodsy note. I also found a whiff of mocha on the nose. Very enticing and fine. Medium+ bodied, the same dark fruit elements are present on the palate, with a long, lingering finish. Nice oak, too. Balanced and drinkable now, this may cellar well for several more years. Two+ stars. Very pretty wine. Deep ruby in color, this wine was, by far, the most oaky and woody of the set. I found it initially attractive, but as it sat I was reminded, at times, of wood-aged brandies such as those from Spain's Jerez region. Oak is the main theme of this wine and tasters who prefer a good dose of wood with their red wine will certainly appreciate this, as did many of the tasters. There certainly is some nice, dark fruit lurking here, but it plays more of a secondary role to the wood. One star for style...this may be a delicious and compelling bottle of wine served with wood-fire grilled red meat.